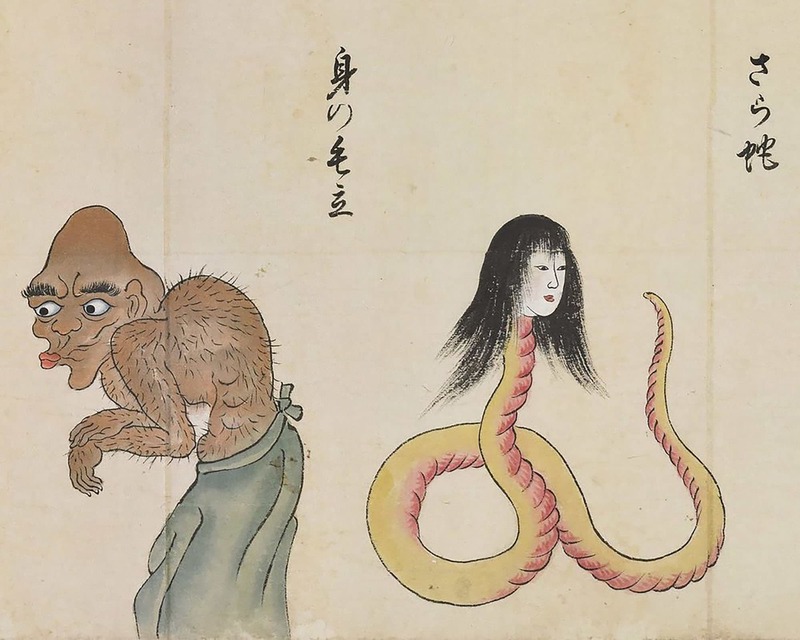 Nure Onna, the snake woman is probably the oldest Japanese yokai. The legend of this woman who likes to be on her own and wash her long hair, and who knows how to get rid of intruders, has inspired many works of art, including prints by Hokusai. 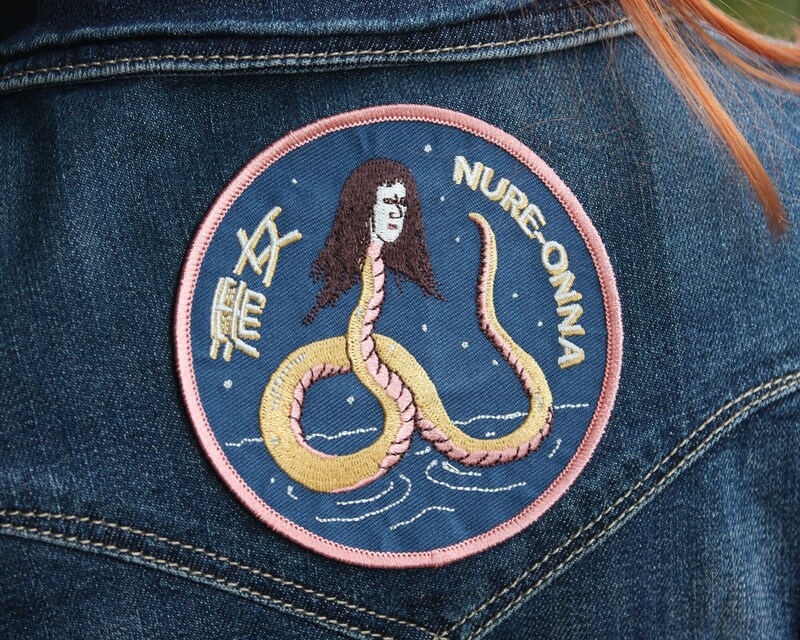 This patch is an hommage to this weird and lonely lady. It can be attached to a denim jacket or a jacket or a cotton backpack using your iron. 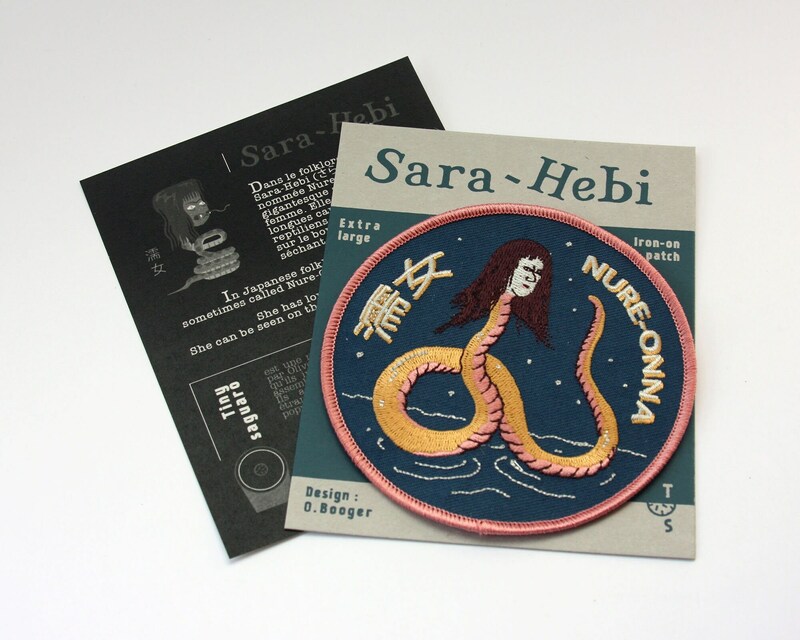 This patch is sold on a hand-screen printed card, and a flyer telling the legend of Nure-Onna. 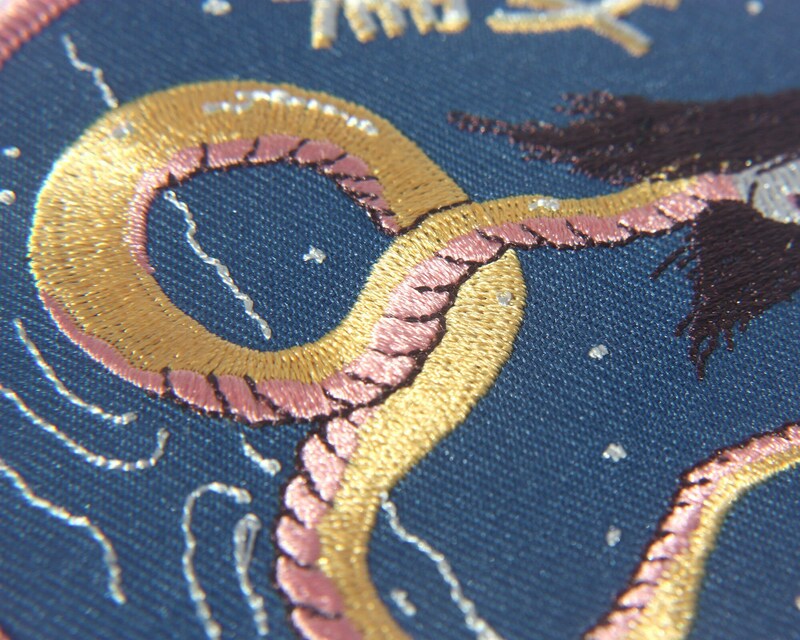 The Japanese say that you can meet, near rivers, a woman of great beauty with a snake body. 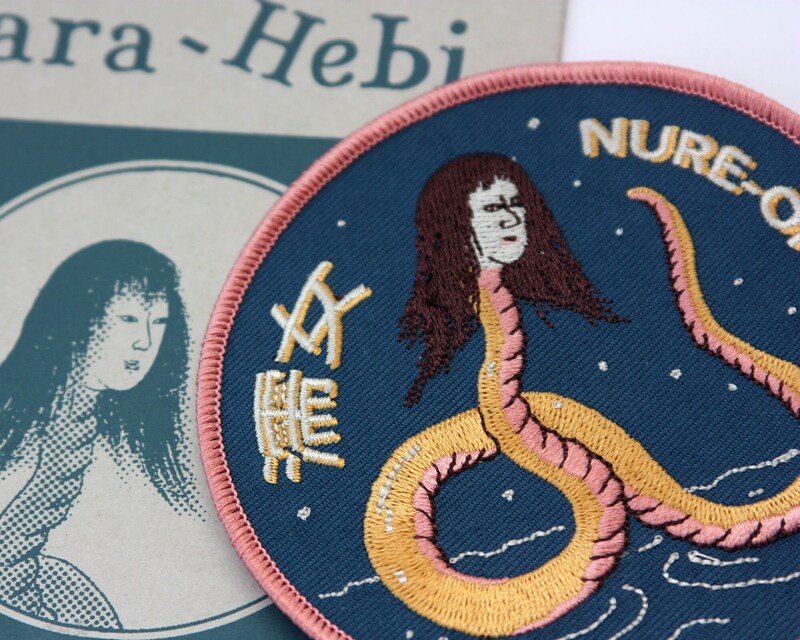 She's called Nure-Onna or sometimes Sara-Hebi. She washes her long black hair, laughing, or imitating the cry of a new born. If a walker approaches, she asks him to hold her baby so she can take care of her hair. But when the passer-by realizes that the baby is a stone, it becomes extremely heavy and leads him to the bottom of the river. Sometimes it is said that Nure-Onna bathes in the river, her hair floating around her. The men think she is drowning and want to save her. But she takes the opportunity to attract them to the bottom and drown them. 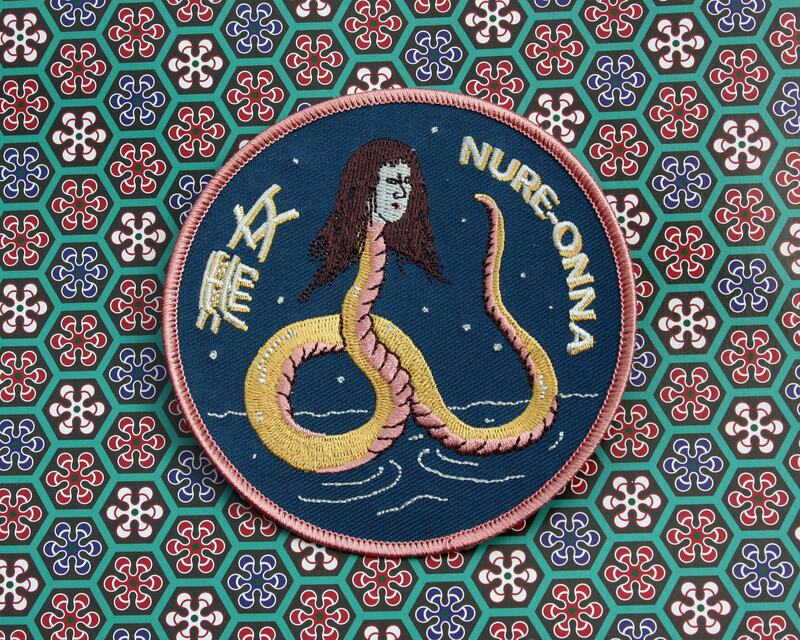 In any case, it seems that Nure-Onna does not like company and seeks revenge on men.